Can you tame the Wildebeest? He’s a fast-moving rascal! 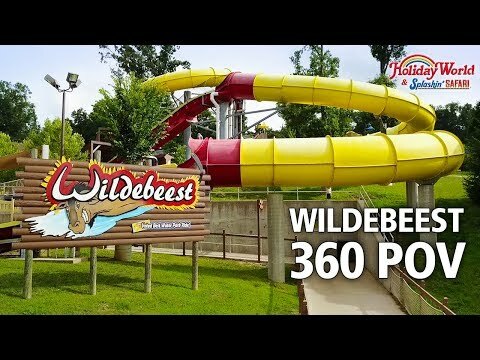 Wildebeest is the World’s #1 Water Park Ride! When we say Wildebeest is long, we really mean it. 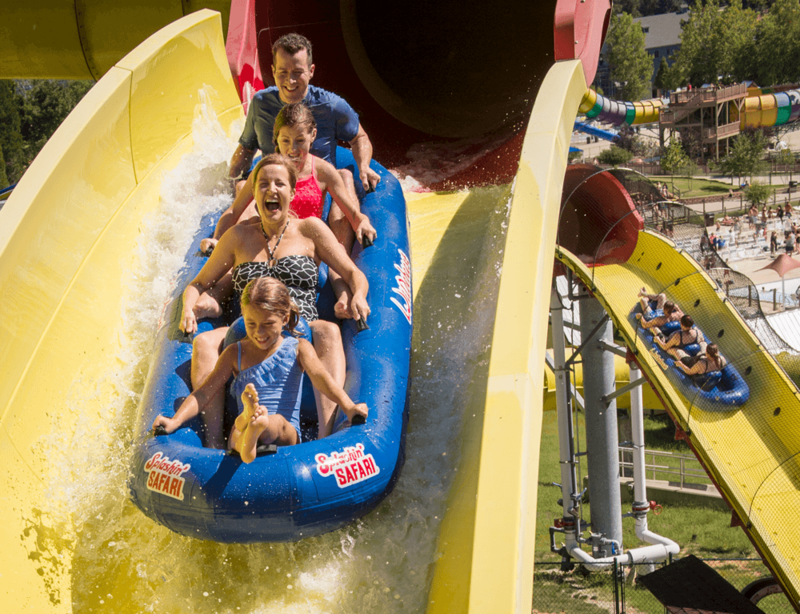 Wildebeest is one-third of a mile long and it thrills riders for two-and-a-half soaking minutes of hills, drops, twists and turns. 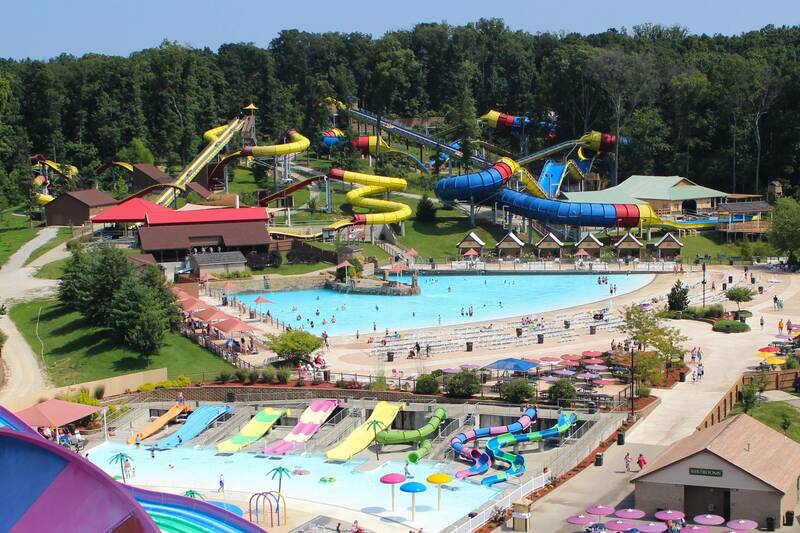 And for the past nine years, the readers of Amusement Today magazine voted it the #1 Water Park Ride on the Planet! 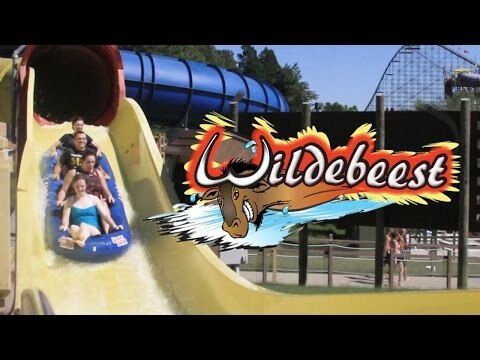 Wildebeest begins with a conveyor ride up the water coaster’s lift hill. 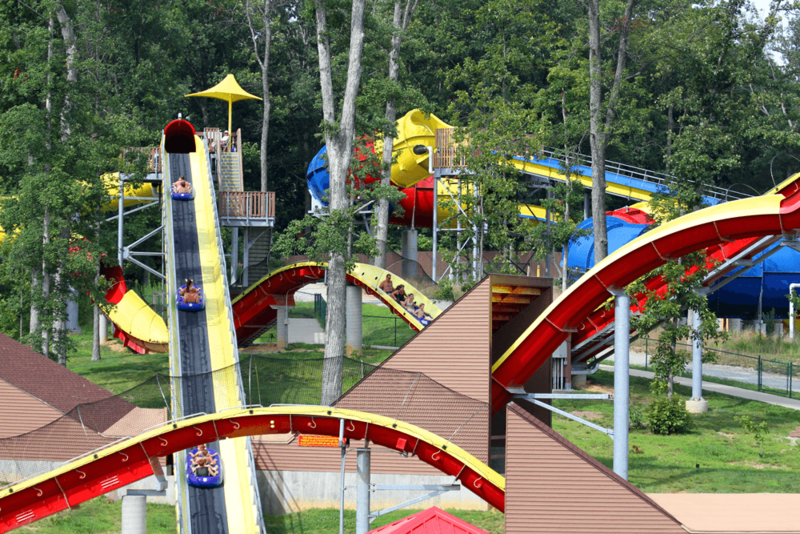 Following the four-story drop at a 45-degree angle, linear induction motors (LIMs) propels the four-person boats up seven additional hills, through two underground tunnels, and around a helix. Wildebeest covers more than two acres; its top speed is 36 feet per second. 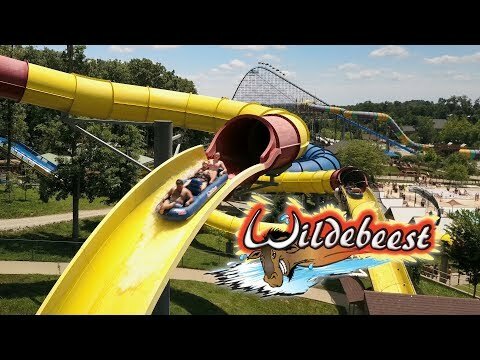 Wildebeest’s tallest elevation is 64 feet higher than its lowest drop; the conveyor-style lift hill replaces any slide-tower stairs, making the water coaster accessible to riders who might have difficulty walking up stairs. How do the LIMs work? The linear induction motor (LIM) technology for shooting the boats up the hills involves an alternating magnetic field beneath the slide surface. The LIMS propel the boats, pushing them rapidly and smoothly uphill. Beat the stampede over here to our Holiblog for more stories and videos. 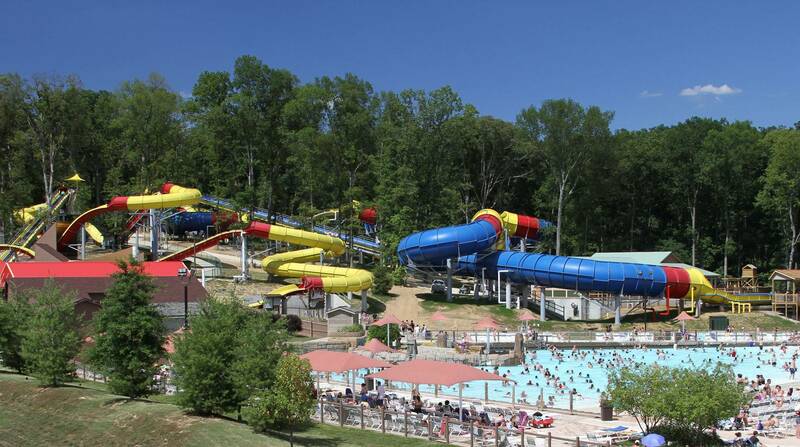 Wildebeest does not have any slide-tower stairs, so it’s accessible to folks who have difficulty with stairs. Is air-time only for roller coasters? Ha! 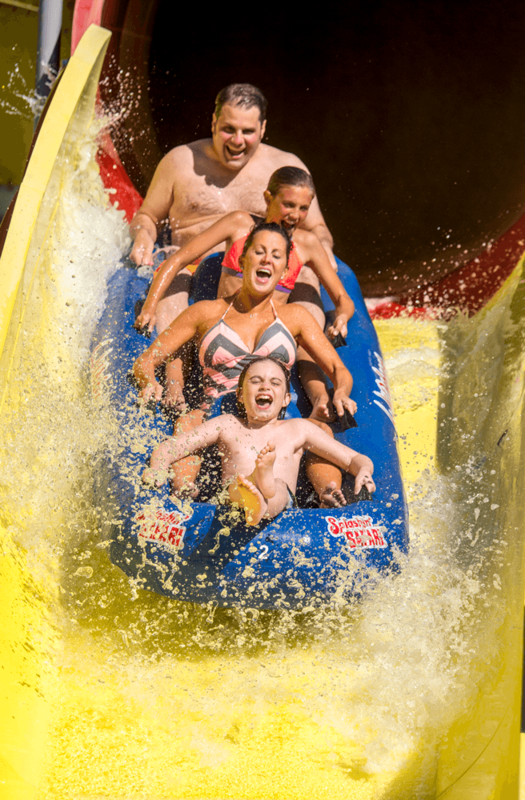 Ride Wildebeest for that tickle-your-tummy feeling on a water coaster! 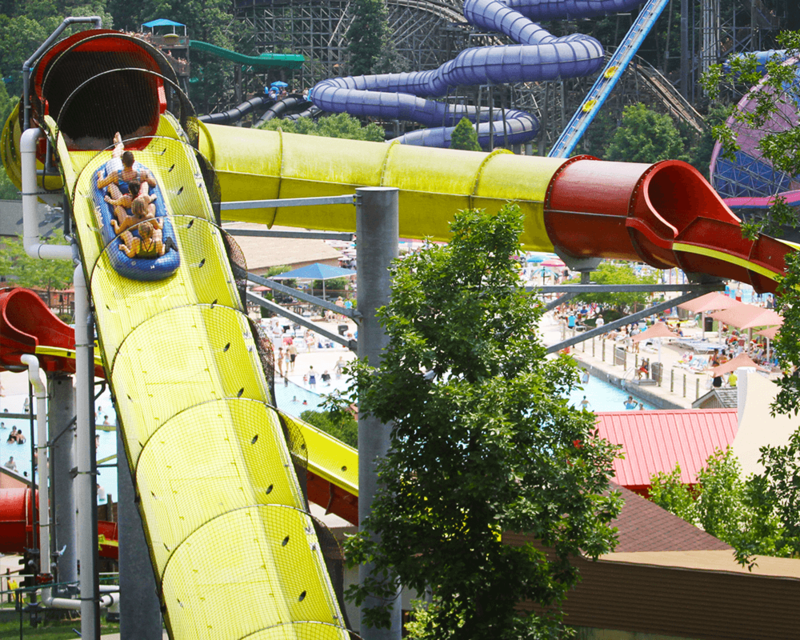 Wildebeest is the world’s second-longest water coaster (the longest is Mammoth, also at Splashin’ Safari). 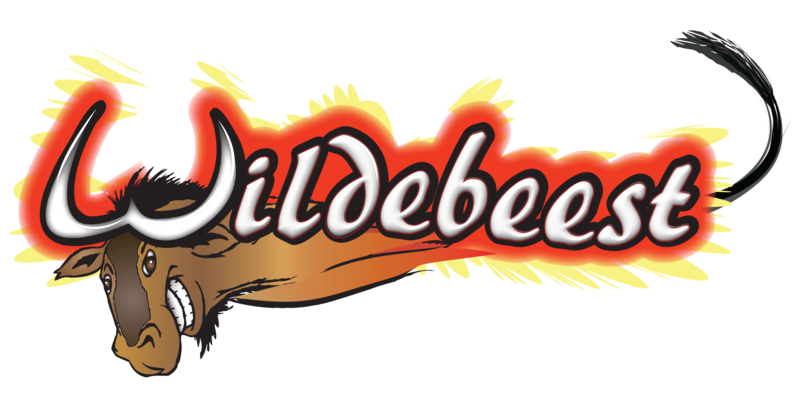 Enjoy the relaxing ride up the lift hill, ’cause once you crest the top you’ll join Wildebeest’s wild stampede through the woods!